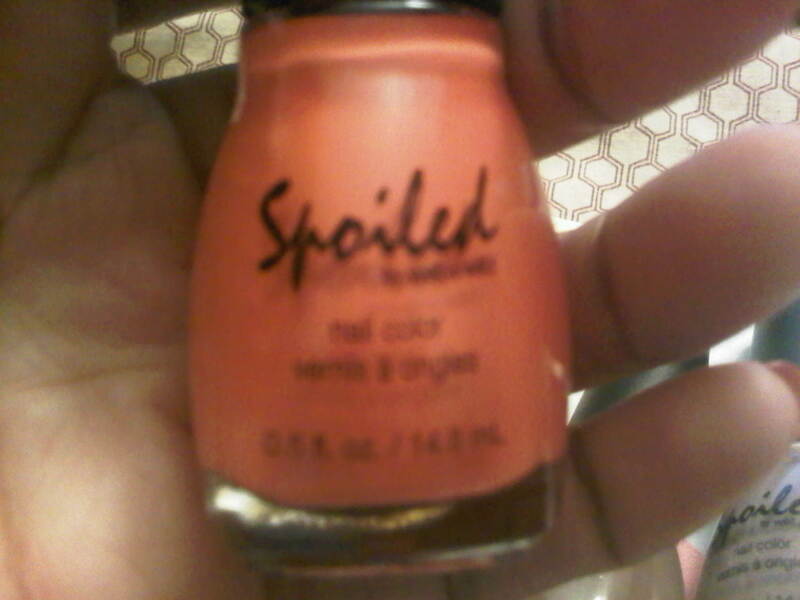 1) Lets start with the color that inspired me to stop in the nail polish section in the 1st place. 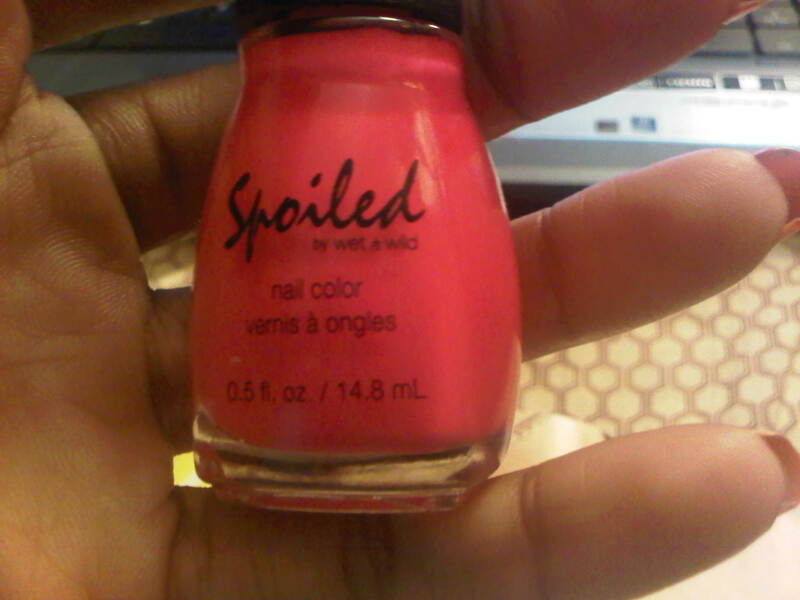 I have been searching for this color forever. 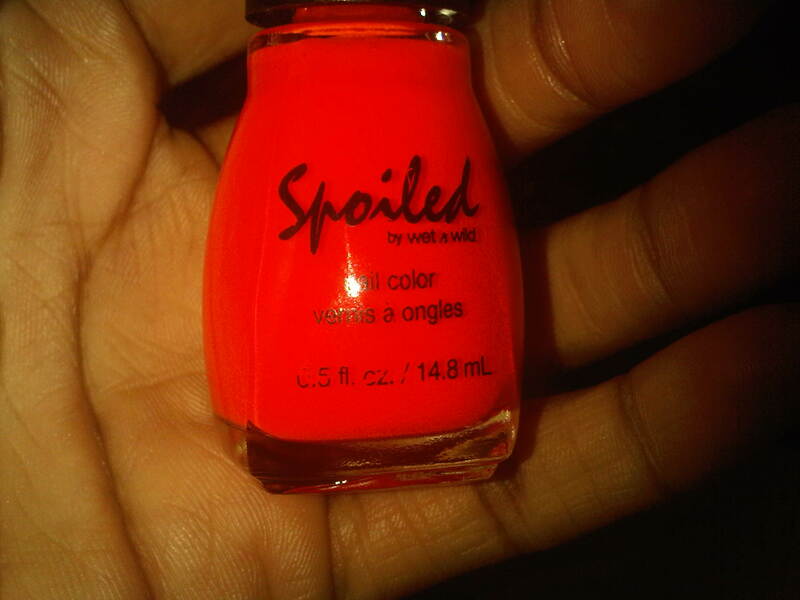 Its called ‘Neon Melon’ and its a neon yellow. It does need a few coats to really pop [or you can use a pastel yellow under it to get it brighter] but I love it. 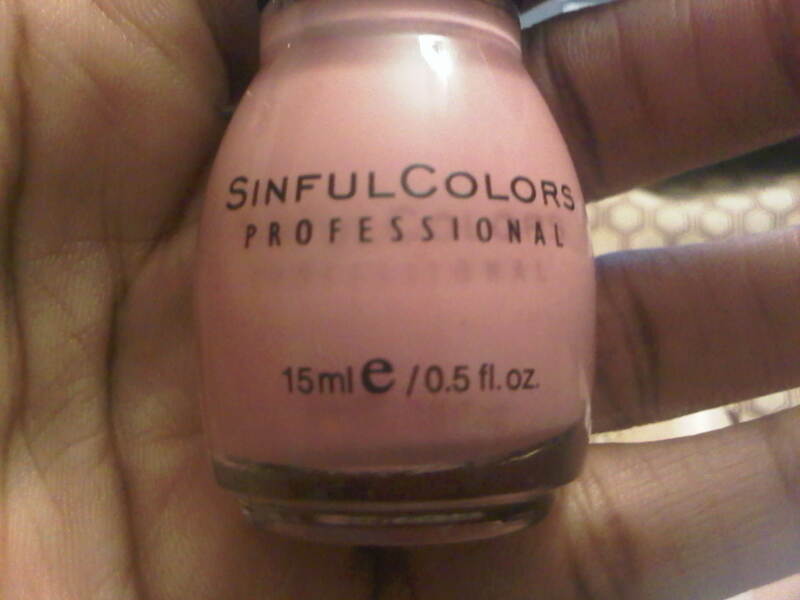 2) The next one is a soft rose pink, called Star Fish, perfect for french manicure or a pretty-and-natural mani/pedi. 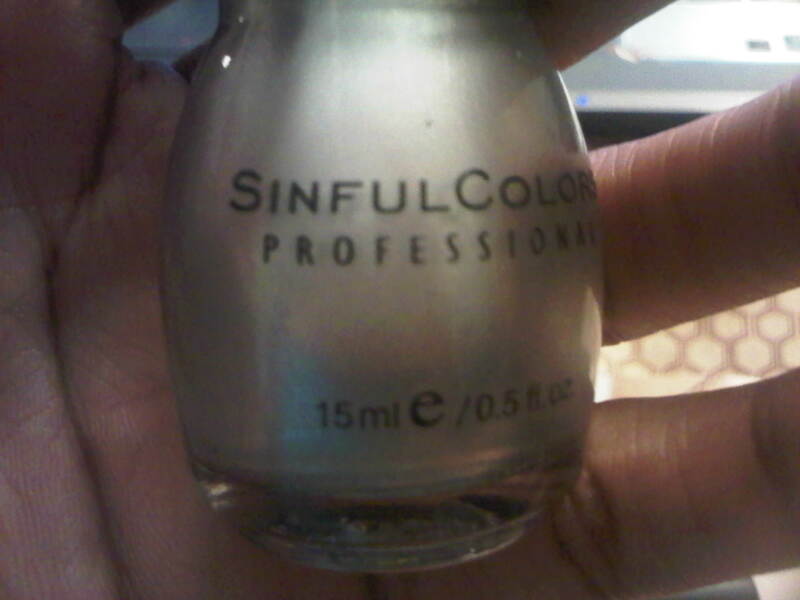 3) Thirdly, is Hazard [my current polish; check the polish of the week post for how it looks on nail]. 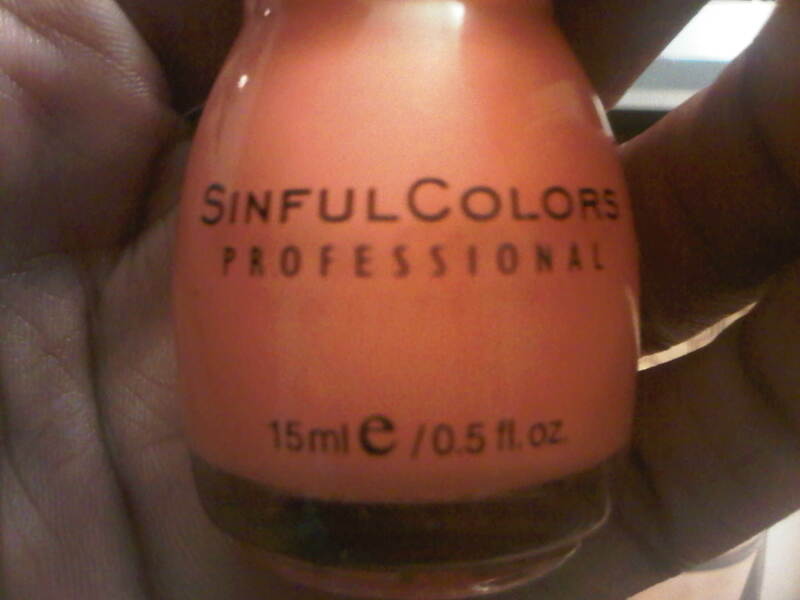 Its a creamy pastel orange, which is quite pigmented [its not a necessity to use two coats with this one] and definitely one of my favorite polishes of the whole haul. 4) Fourthly, is a pretty, soft pastel yellow called Unicorn. Beautiful color, perfect spring/summer color. 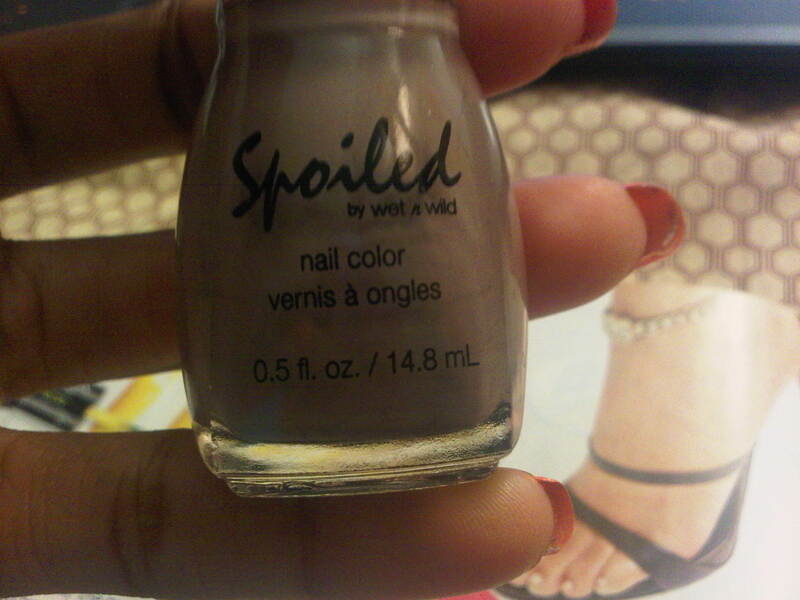 1) Starting with the ‘calmest’ color, my new collection features a creamy, light pink polish called My Button Fell Off. 2) Steel the Show is pretty, but hard to describe. Its kind of like a dark pastel grey, if that helps at all. I kno that description doesnt make much sense [I’m sorry :(] but that’s the best I could do. Hopefully the picture helps..
3) Next up is a slightly darker grey, almost a brownish grey called Pumping Gas [ Where in the world do they find these names from?! lol]. It seems like a nice color to pair with a pastel for a beautiful contrast. I’ll post pics when I try that theory out. 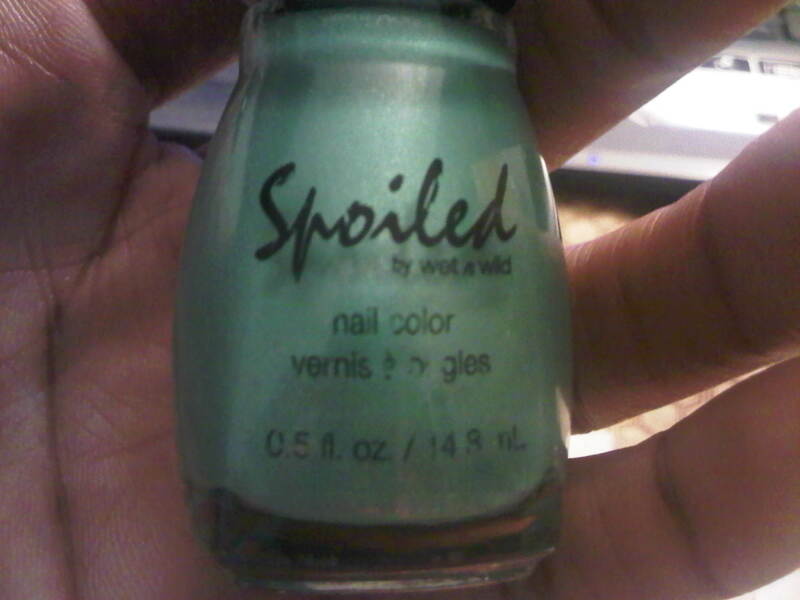 5) The first of three greens I purchased is called Toad-ally Amazing, and it is best described as a pastel jade green. 6) The second green I bought is called Distant Memory. Put simply, its a deep teal, with a semi-matte finish. 7) The last of the greens, and the beginning of my bolder collection of colors, is I Only Eat Salads. 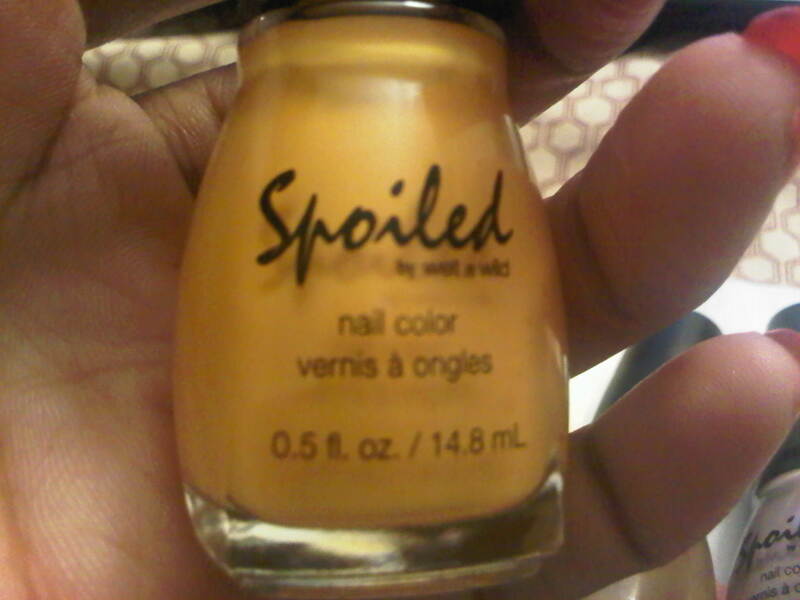 Its a bright yellow-green polish, quite creamy too. Certainly a statement color. This pic was taken in the dead of night, so you can only imagine how bright it is in the sun :). All in all I LOVE these polishes. The shades and quality are amazing, especially for the price. They are taking the place of some much more expensive polish that I have in my collection. 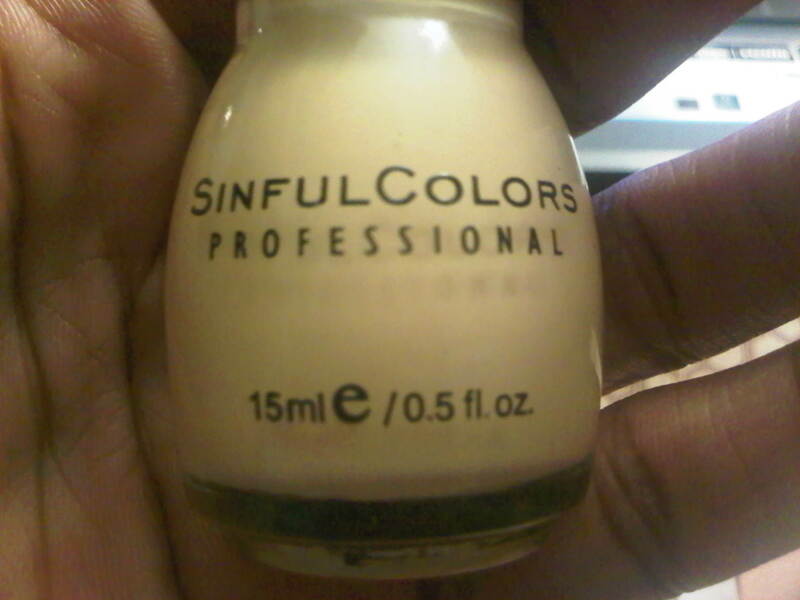 I’m really excited I gave these brands and colors a chance I have no regrets! Let me start by saying i admire your nails (what is your secret).i was a acryl wearing for years until recent pregnancy so now my nails are getting healthy again but beside the point lol. 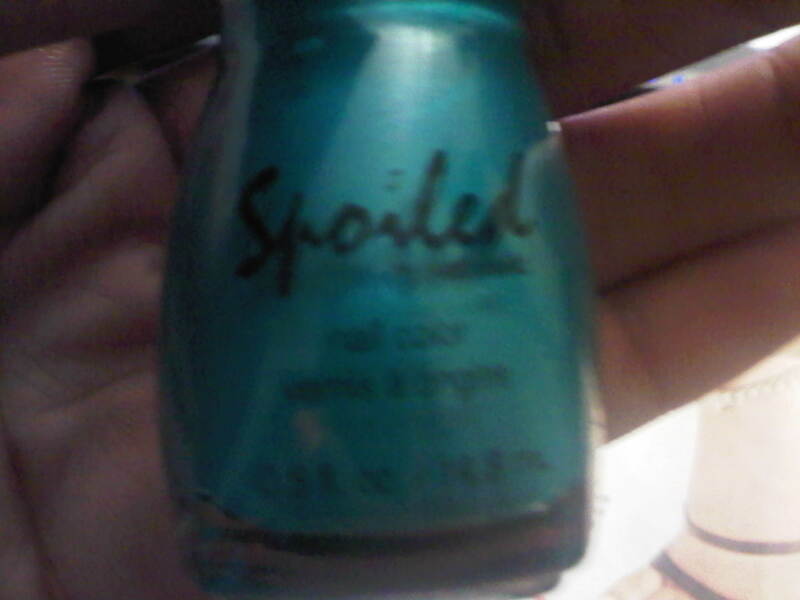 I absolutely love spoiled nail polish (have to get plastic flamingo)a few i think you’d like are fuzzy dice, loxy lady, shrimp on the barbie, my silicon popped, hit the brakes, did i get plastered, and i don’t drink cheap wine. Hey! Thanks for stopping in!! 🙂 …and thank you for the compliment! 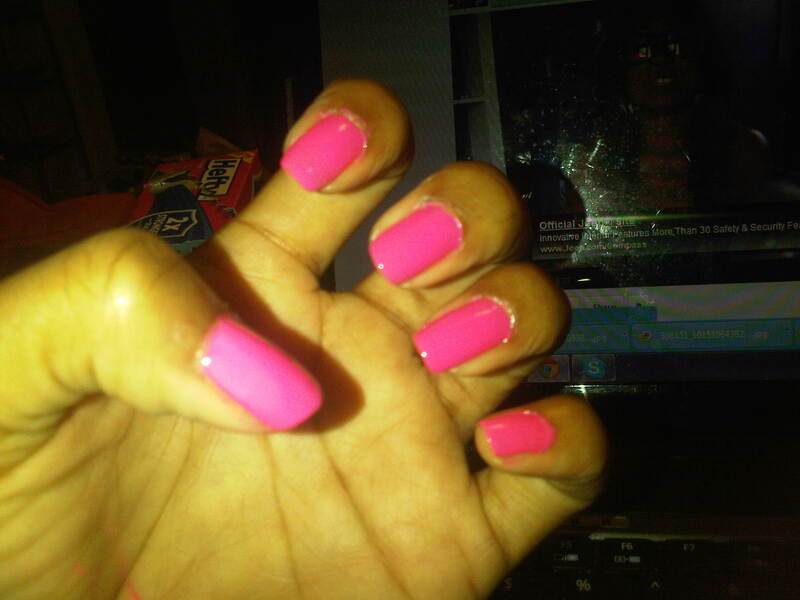 !I really don’t do much to them to be honest apart from polishing them, and a little cuticle oil here and there. My nails used to be really soft in high school because I bit them ALL the time. In college though, they began to harden, and now even nail technicians think I have on acrylic because my nails are so hard. Go figure huh? I’ve always wanted to do hand modeling, maybe I should look into that. I’m so delighted to meet a fellow avid ‘Spoiled’ user! I am going to go in search of those you named to add to my collection. Thaks for the recommendation! No problem…I’m glad you like them! Hopefully they make it on that side quickly….they are such great, pigmented colors, I’d love for every nail polish lover to try them out!